Will electric motorcycles become like mobile phones? It’s debatable whether we will have the need and desire for the compact and light bikes as we do the plethora of touchscreen devices out there but parallels exist when it comes to the constant developments, the obvious advantages and the curiosity of new technology. 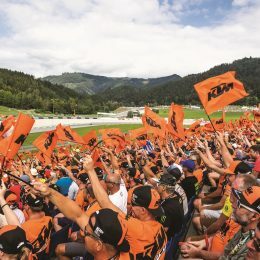 KTM have expanded and enriched their R&D around electric mobility after the well-received FREERIDE concepts were finally released to certain markets in 2014 and after four years in the making. Since then the company has flowered with their general portfolio as well as their relentless quest to deliver exciting and near-essential bikes to mirror the demands of life towards the end of the second decade of the 21st century. 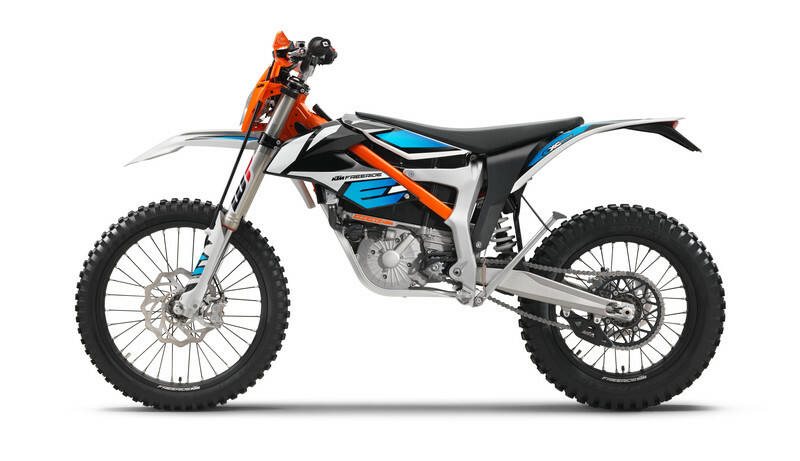 So, naturally, a second generation of KTM FREERIDE E was in the pipeline and areas for improvement hovered around typical motorcycling upgrades – refinements in chassis, suspension, brakes and other components – but also revolved around the automotive industry’s general goals for better electric power: more potential, more distance, better charging and regeneration. 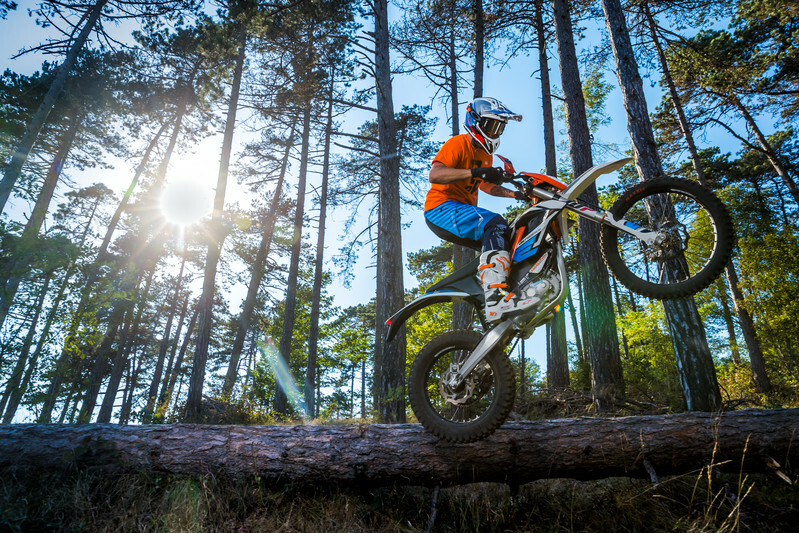 Such was the rate of significant progress that KTM were ready to apply their discovery and work to the 2018 model line and the KTM FREERIDE E-XC is first out of the traps. The motorcycle modifications include a 111 kg weight, new chassis and new composite frame with longer steering head for extra stability. Redesigned bodywork, A1 compliance, new WP Xplor 43 upside-down split fork (enhanced sensitivity and protection against bottoming out, easy setup), WP PDS shock absorber (reduced unsprung mass, enhanced progression and adjustment options), a new dashboard and re-positioned ignition lock for even more real-world practicality and a low, 900 mm seat height despite extreme cross country mobility. 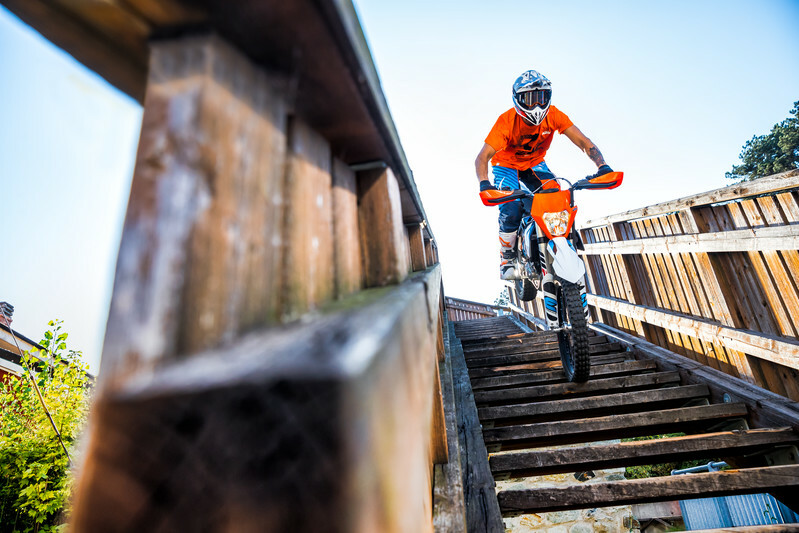 But it is the gains with the electric technology that still cast the KTM FREERIDE E-XC as the reference for the segment both as a community-friendly commuter, a ‘runaround’ and a READY TO RACE competition model. 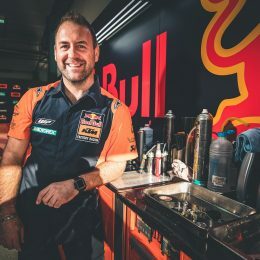 KTM have forged a PowerPack (that is also backward compatible for older FREERIDEs) and drivetrain that boasts 3.9 kWh and an increase in peak power from 16 to 18 kW. Which basically means a 50% hike in capacity and an elongated 1.5 hours of riding time depending on the terrain and style. It seems that new range records are within reach. There are still three different ride modes (Economy, Enduro and Cross) for varying performance but it is the ‘Eco’ setting that holds a special feature with a regeneration facility while the bike is coasting and braking to fully exploit the battery and its management system. In terms of aging, even after 700 charge cycles, the KTM PowerPack will still provide 70 % of its initial capacity. The battery itself can be easily and quickly swapped out by removing four screws or charged while in the bike. In addition to its dust and waterproof construction, the motor is virtually wear – and maintenance – free. The only servicing needed is to change the 155 ml of oil lubricating the gears between the electric drive and sprocket after every 50 hours of riding time. 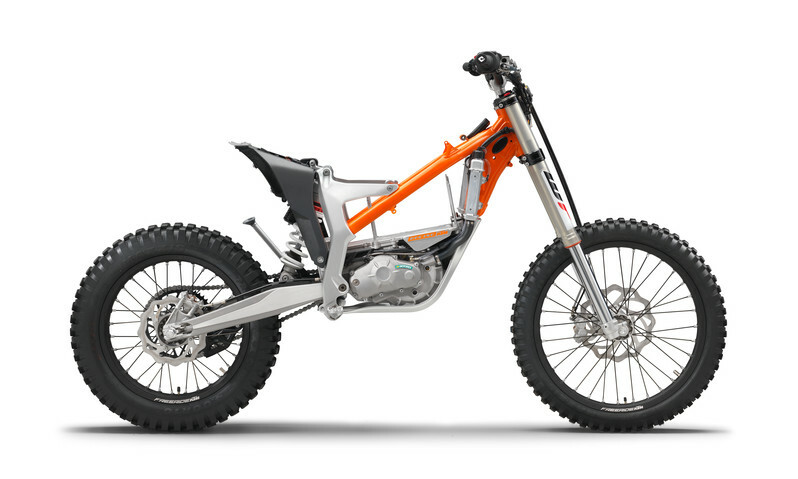 ‘Juicing’ the 2018 KTM FREERIDE E-XC should take about 110 minutes for a full charge, or about 75 minutes for an 80 % charge. 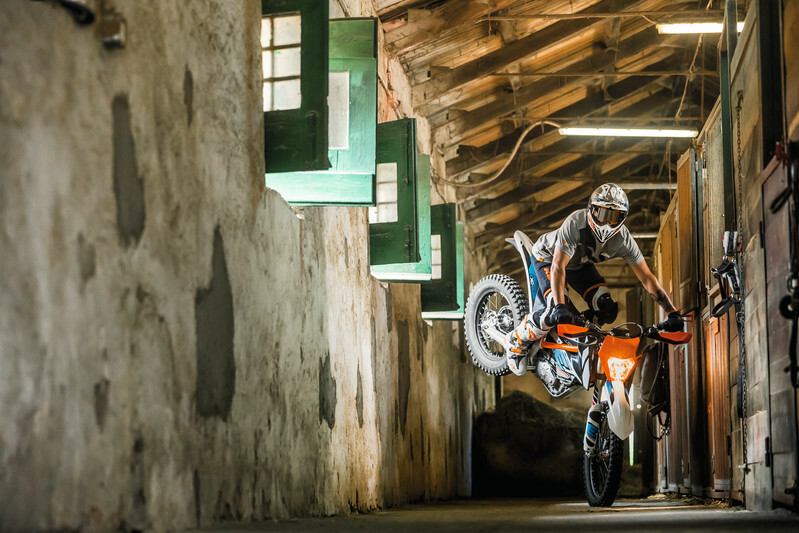 The second generation of KTM FREERIDE E-XC is not only a representation of the knowledge and research poured into advancing the possibilities of motorcycling by KTM but it is a bona fide attempt to orientate biking into other aspects of our lifestyles. By ploughing the same channel of urban functionality as electric cars and vehicles there are undoubted benefits … but there are also important recreation elements to consider. In the last five years ‘e-parks’ have opened in Austria, Belgium, Finland, France, Germany, Italy, the Netherlands, Switzerland and the UK. In this way, more and more people are getting to experience the thrill of electric offroading on a quiet, ‘green’ e-bike in a controlled and safe environment. The argument for e-mobility seems to get easier every year and now offerings like the 2018 KTM FREERIDE E-XC mean the wares are fast-catching the promises. Plug in. Battery should last longer, however as I am interested i asked to try it in Switzerland. The staff told me that i must pay 99chf (around 90 euro) to go on a small track for 2 hours. Never paid to try a vehicle that i am interested to buy. Is it also abroad. I have tried one at E-scape in the UK last year and was quite impressed, but the downside, too expensive to buy, limited ride time. I ride hare n hounds type events, typically 2-2.5 hours riding. 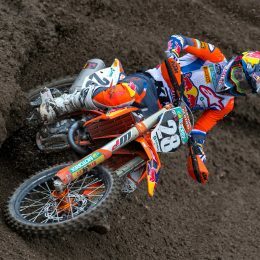 Align the price with an EXC and chuck in a spare battery and racer/hobby riders will buy them/ fly out the dealers. living in Bordeaux France, when are we going to be able to try this e. bike ? When you 1.5h … Is this full range or 1.5h more than the previous model ?